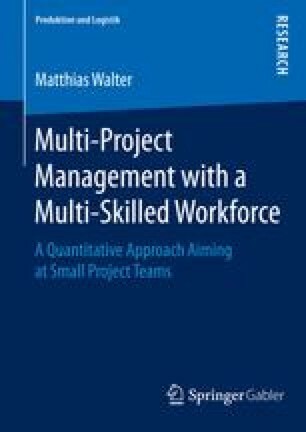 In this work, we have outlined a hierarchical planning approach to solve three problems that arise in many firms at the interface of multi-project management and human resource management. The problem at the top level is a static project selection problem. The goal of this problem is to determine a project portfolio of maximum benefit that complies with the availabilities and the skills of a given workforce. At the second level, a project team must be composed for each selected project such that all skill requirements of a project can be accomplished by the respective team. The goal of this workforce assignment problem is to minimize average team size.